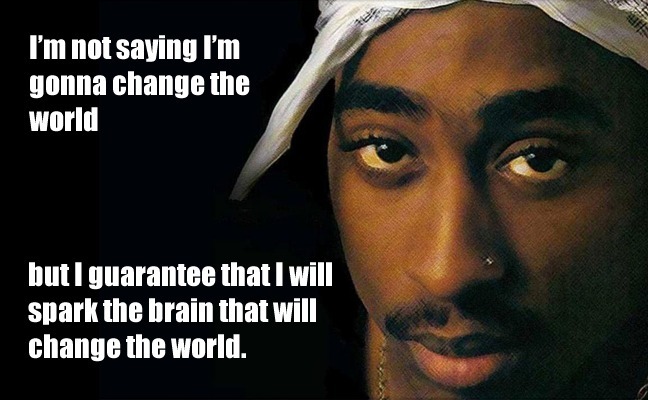 Tupac Has Probably Sparked The Brain That Will Change The World Already. I mean, just saying. The number of inner city kids that were helped by his efforts to end gang violence, in addition to the millions of creatives that were influenced by his sound makes it seem likely. Just think, one day the president might be a Millennial who rocked backwards jeans because of Kriss Kross one month.